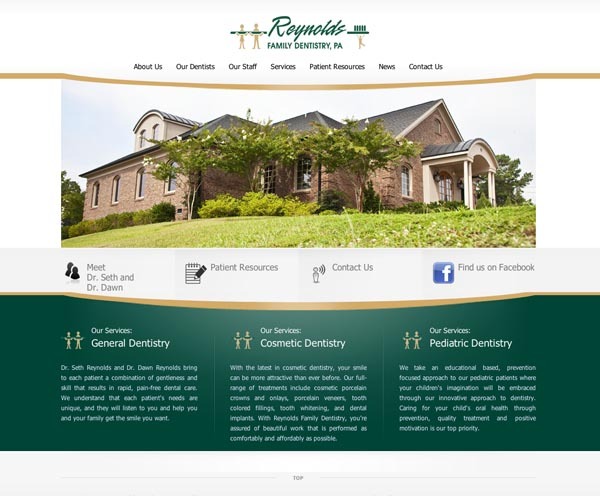 Welcome to the all new home of Reynolds Family Dentistry on the web. With our new website, you can find out more about our services, meet our doctors and staff, download important patient forms, read the latest news from our office and contact us directly. Take a look around our site and learn about our practice and feel free to contact us to let us know how Reynolds Family Dentistry can serve you!